Xiaomi Redmi 5A smartphone comes with the eye-protection mode. Buy this 5A Redmi mobile and enjoy a user-friendly interface.The Xiaomi Redmi 5A mobile is the perfect combination of exquisite look and leading-edge performance. It has a sleek body that feels as good as it looks. This Redmi phone features a 5inch HD display that delivers bright and crisp visuals to make your favorite content more immersive. The 5MP front camera makes every selfie outstanding. Furthermore, the 13MP rear camera makes every memorable moment even more special with its outstanding image capturing performance. 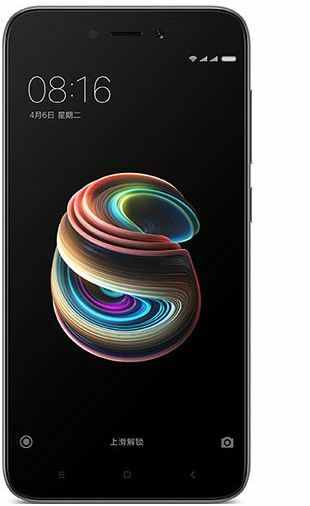 This Xiaomi Redmi 5A comes preinstalled with MIUI 9 operating system that provides a user-friendly interface to give you an incredible smartphone experience. The Snapdragon 425 Quad-Core processor runs all the browsing and application-based tasks with efficiency. The 2GB RAM, with its lag-free processing, ensures a seamless multitasking performance. With an onboard storage of 16GB, you will always be equipped with all your favorite music and videos, and documents. Moreover, the eye-protection mode protects your vision and reduces eye-strain. With a battery of 3000mAh, this phone frees you from frequent charging. 98.5% of users recommend this product to a friend. Nice Phone, worth of every Penny, you will not find any phone with 2GB Ram at this price. excellent for the price but a bit laggy sometimes still okay for the price! Very nice phone price little high.